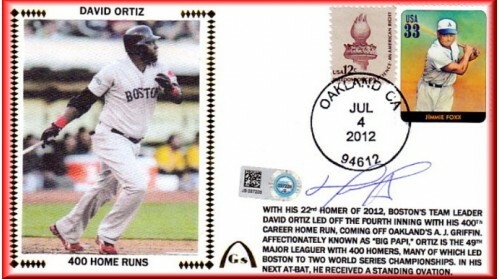 David Ortiz 400 Home Runs (2012). David Ortiz Led Off The 4th Inning With His 400th Home Run. Only 25 Sent To Be Autographed, But ONLY 6 Remain To Be Sold! !